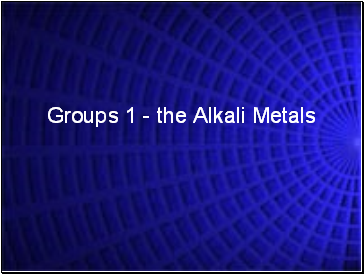 What is the name of the group 1 elements? 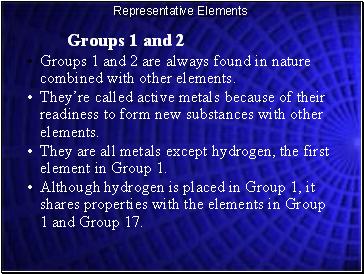 Name 3 of these elements. 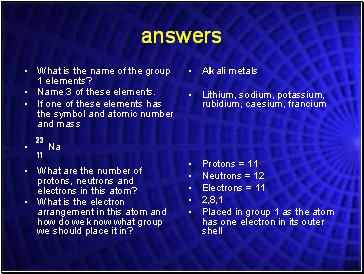 What are the number of protons, neutrons and electrons in this atom? 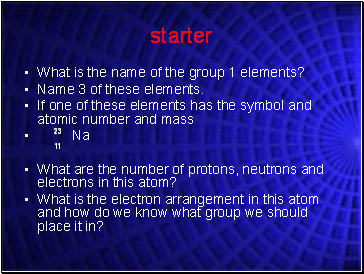 What is the electron arrangement in this atom and how do we know what group we should place it in? 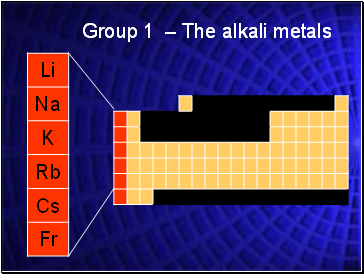 Locate the position in the Periodic Table of the alkali metals. 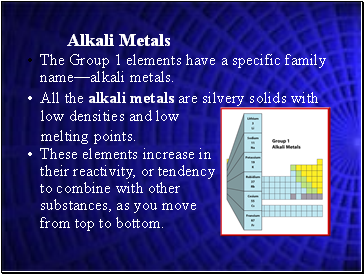 Recall how the alkali metals react with water and how this reaction changes as we travel down the group. 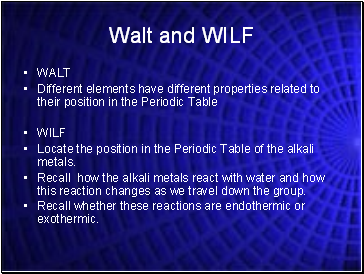 Recall whether these reactions are endothermic or exothermic.